Large diameter API / IS Grade pipes with a diameter ranges from 406 mm to 3175 mm, wall thickness upto 25 mm, length upto 12.5 meter and upto and including API 5L X â€“ 80 are manufactured at Varsana H-Saw pipe mills. Annual mill capacity is around 75000 MT per mill. Size Range: In ERW, LSaw, SSaw, Spiral, DSaw, EFW 6" to 100"
IS 3589 (BLACK GR 330 & GR 410) SAW 672. 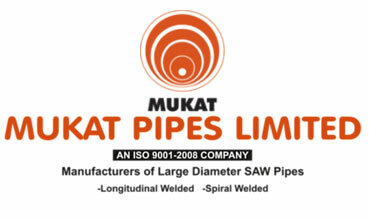 Give us a call today to get all the information, +91-9819591024, If you're looking to buy or sell MUKAT Hsaw Lsaw Pipes, we can help., call to our Distributor in India or mail us to info@neelconsteel.com for instant free quote of MUKAT Hsaw Lsaw Pipes. Neelcon Steel Wholesale Various High Quality MUKAT Hsaw Lsaw Pipes in all shapes and sizes and with any specifications that the clients, More then 1500 Worldwide.